Minnesota can have some pretty harsh storms, with plenty of ways to damage your home, whether it’s a fallen tree, ice dam, or even hail. 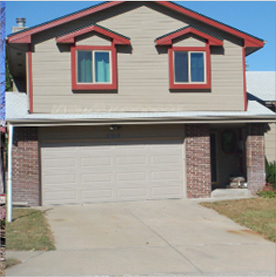 It can be confusing to go through the restoration process to find the right people to take care of your home. To make the process easier, here are a few answers to commonly asked questions about what happens when your home is damaged by a storm. I don’t see any damage from the recent ice storm. Should I have my property inspected anyway? Yes. 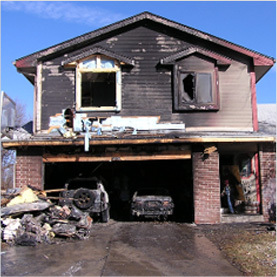 If you have any reason to suspect that your home might have been damaged, give us a call. We provide damage assessments and cleanup evaluations. The initial damage to your home can be subtle and hard to detect on your own. If you wait to get the damage repaired, it can become much harder and more expensive to cleanup. The storm damage to my home wasn’t very bad, and I don’t want to deal with my insurance company. Can I just let the damage sit? No, it’s important that the damage is taken care of right away. Property damage has a tendency to get worse over time—particularly during the cold and harsh winter months—so even a small problem can turn into a big one if you’re not careful. Call us for a repair evaluation and for fast repair and reconstruction services! I think the wind and snow might have damaged my roof. Is there anything I can do? Contact a professional, and we’ll come out to your home and safely check to see if any damage has been done. If you do need repair services, our highly trained team members will work quickly to repair your roof and make sure that your home is protected against the next storm. Does my insurance policy cover storm damage? Usually, yes. The most common homeowner’s insurance policy does cover damage caused by ice, snow, wind, and rain. You can learn more about what’s covered by homeowner’s insurance in our guide to insurance. A tree fell on my home. What should I do? Call your insurance company to open the claim. Give us a call. We will get there as soon as we can to mitigate and fix any damage. While you’re waiting for us, take pictures and document the damage to make the insurance claim process easier. 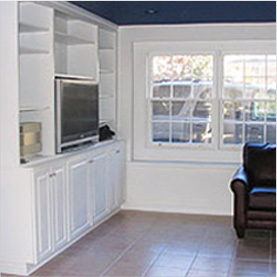 Do I need to hire a separate contractor to do any necessary reconstruction? No. 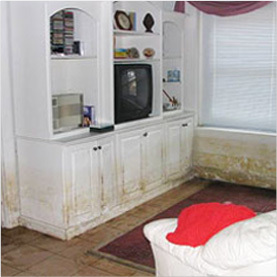 We are a full-service restoration company, which means we take care of it all from cleanup to restoration. If your home is damaged by a storm or fallen tree, give us a call and we can take care of it! What are ice dams and why are they bad? An ice dam is a large portion of ice that forms on the edge of your roof. The weight of an ice dam can collapse your roof if the dam is big enough. You can learn more about ice dams and how to prevent them here. How do I remove an ice dam from my roof? If you need an ice dam removed, give us a call! We’ll be happy to come help remove the ice dam and fix any damage caused by it.